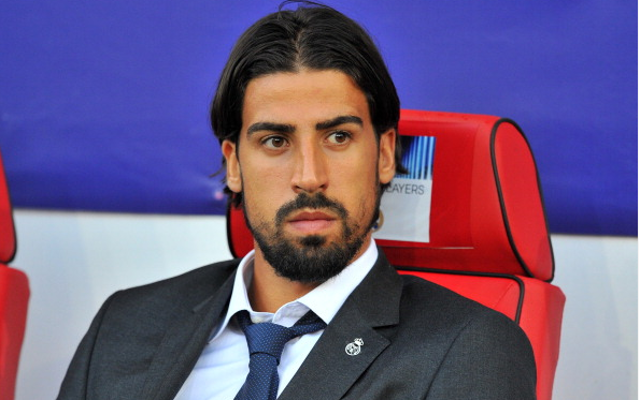 Khedira to Chelsea deal in place, insider claims.Real Madrid defensive midfielder Sami Khedira has a verbal agreement to sign for Chelsea when his contract expires next summer, according to a source close to the player. The German international, who formed part of his country’s World Cup winning squad in Brazil this summer, was strongly linked with a move to the Premier League for much of the transfer window. However, a late decision to sell key midfielder Xabi Alonso Bayern Munich saw Real rule out his exit in the final few days of the market, with the club still hoping to persuade him to commit his future and put pen to paper on a new deal. A move to England still looks on the cards, however, as an insider has revealed that the 27-year-old has held secret talks with Chelsea and has unofficially decided to make the move to Stamford Bridge next season. Khedira will be free to talk to other clubs from January onwards, and may sign a contract with the Blues when the opportunity arises in January, despite Arsenal still being desperate to bring him to the Emirates Stadium as well. The Gunners looked the favourites to sign the former Stuttgart man during the summer, with Chelsea preferring to wait until next year to sign him on a free, and this would tie in well with Jose Mourinho’s recent comments about his club needing to be frugal in the transfer market. Chelsea have seemingly won the race to land their target as Arsenal failed to agree a fee with Real Madrid to sign him while he was still available, and he is now expected to link up with Mourinho’s squad next term, becoming the latest big name to move to Stamford Bridge in recent times. With Real Madrid recently linked with Chelsea’s Brazilian star Ramires, it could be that he will be allowed to leave as Khedira comes in to provide further competition for his place in the midfield engine room. SEE ALSO: All the latest Formula 1 news.